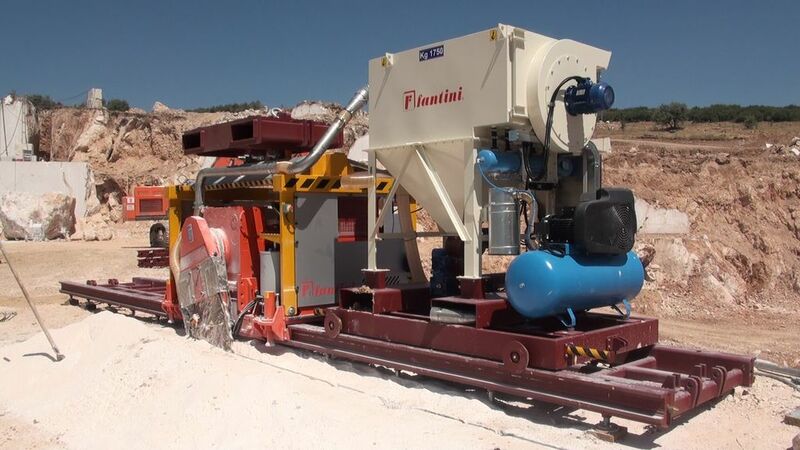 Fantini 70SUPER-H Bank Chain Saw Machine. 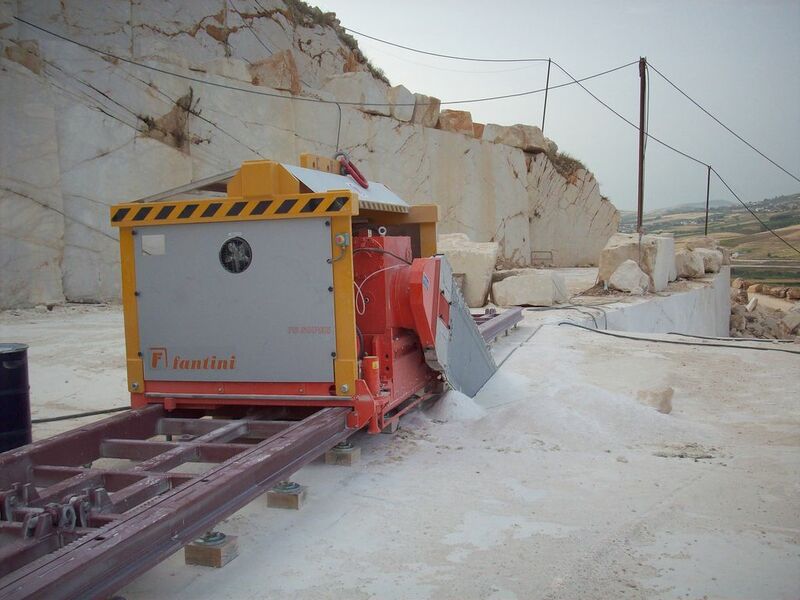 The 70 SUPER /H chain saw machine is the most powerful model in the FANTINI range. 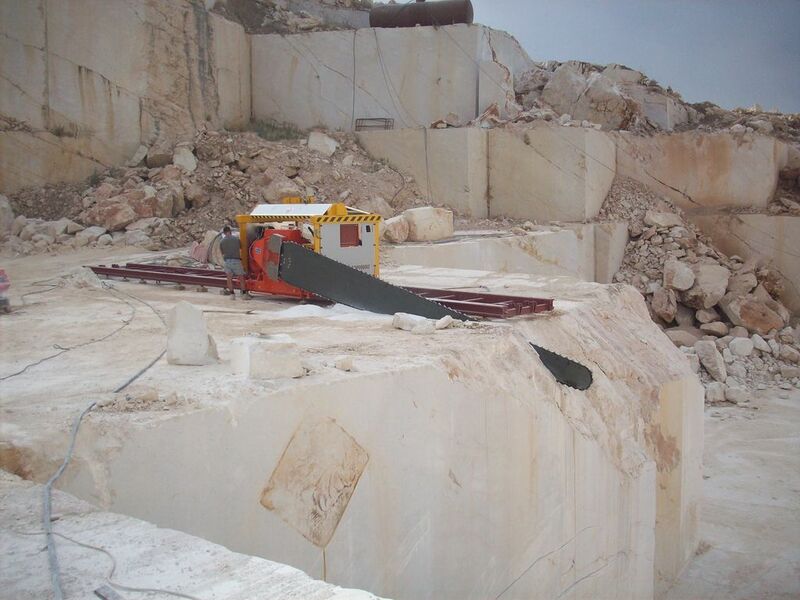 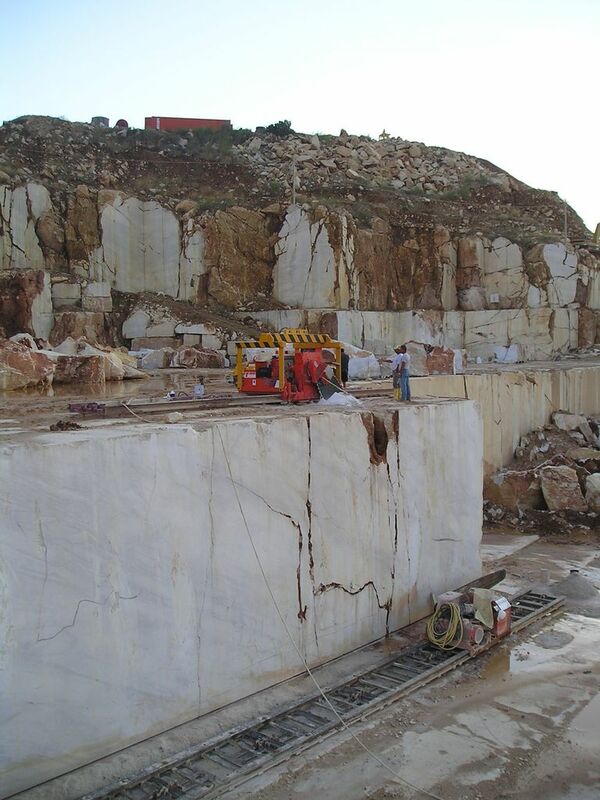 It features a vertical cutting capacity of up to 8.0 m and provides excellent results with both marble and other types of hard stone. 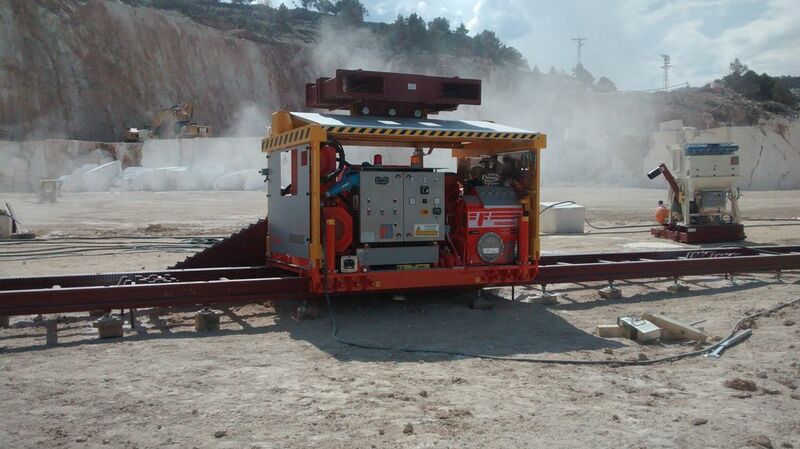 The machine is operated by a hydraulic system with variable capacity main pump driven by an electric motor. 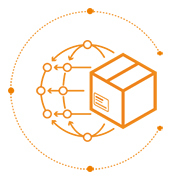 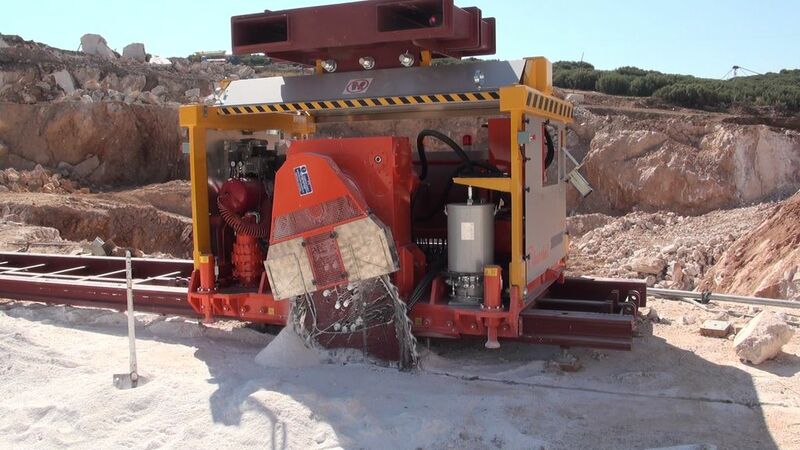 The electro-hydraulically operated controls guarantee power and speed in all operating conditions and the machine can execute horizontal and vertical cuts without the need for water cooling.